Southern Labware now accepts Apple Pay as a more convenient and secure way for our customers to shop. Shopping with Apple Pay is as simple as the touch of a finger with Touch ID, ending the frustration of repeatedly filling out shipping and billing information and keeping tracking of credit and debit cards. More importantly security and privacy is at the core of Apple Pay. When you use a credit or debit card with Apple Pay, the actual card numbers are not stored on the device, nor on Apple servers. Instead, a unique Device Account Number is assigned, encrypted and securely stored in the Secure Element on your device. Each transaction is authorized with a one-time unique dynamic security code. Simply click the Apple Pay button at checkout and experience the Apple Pay difference! In our continued effort to offer premium products that add value, quality and reliability to your lab, we are pleased to offer Bio Basic Inc. life science products. Bio Basic Inc. is a life science products manufacturer founded in Toronto, Canada with Headquarters in Markham, Ontario and Amherst, New York. 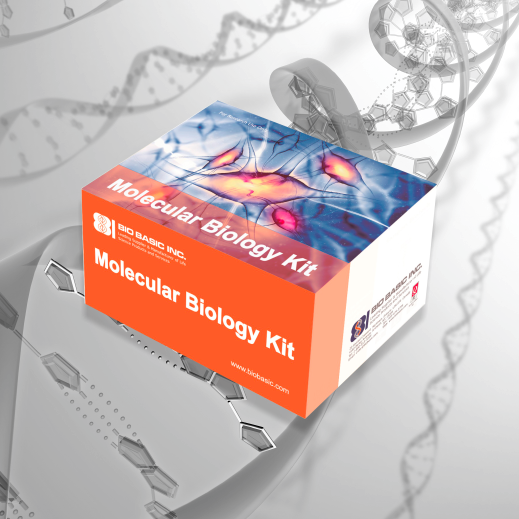 Our relationship with Bio Basic Inc. will allow us to offer molecular biology kits, RNA and DNA modifiying enzymes and DNA, RNA and protein markers and vectors. A researcher once said to me, "Does the world really need another centrifuge?" With the countless brands flooding the pages of catalogs and websites it was hard to argue his point. Until now! Heathrow Scientific has developed a dual purpose centrifuge/magnetic stirrer called the MagFuge. 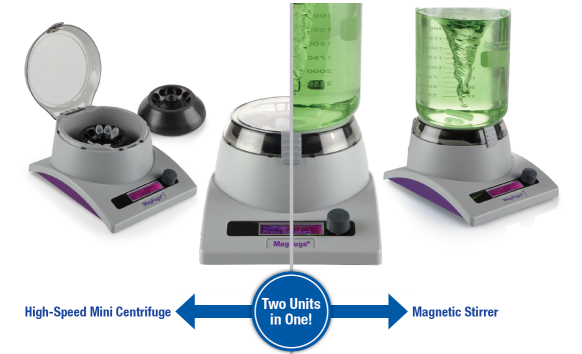 The MagFuge's patented dual design provides magnetic stirring and high speed centrifugation in one powerful unit. This is truly an innovative design that provides substantial cost and benchtop space savings by having two pieces of equipment in one. Please review the Magfuge's feature and specifications below to see just how innovative it is. Precision, literally at the touch of one button! The MagFuge® offers an easy to program digital display. Multiple functions and options are available to achieve the best possible centrifugation and stirring results for a wide range of protocols. After selecting a function, rotate through the performance options and select the program to meet your requirements. Last run memory feature is avaliable for repeat protocol requirements. A guide to microbead milling. What is microbead milling? Microbead milling is a homogenization process used to break up (lyse) samples in order to release the DNA, RNA and proteins contained within the cells. Samples are placed in tubes with the appropriate grinding beads and subjected to high energy mixing. The beads impact the sample, eventually breaking it down on the cellular level releasing subcellular contents. The samples are then typically centrifuged and the lysate recovered from above the beads. The Benchmark BeadBug™, BeadBug™ 6 and BeadBlaster™ 24 are bead beating homogenizers, designed to rapidly homogenize small samples in disposable tubes with the aid of grinding beads. Both instruments work by physically moving tubes, samples, and grinding beads in an oscillating motion several thousand times per minute. Through this motion, the beads tear into and crush samples on impact. They are different in capacity - if only a few samples require processing a day, then the BeadBug will be sufficient for most researchers. For those with higher capacity demands or a larger lab group, the BeadBlaster 24 is more practical. Microbead homogenizing can be effective at disrupting many different sample types. The key aspect of successfully homogenizing samples is to match the correct bead to the sample and then not to overload the disruption tube. For bead beating to be effective, the beads need to move and crash into the sample. Tubes packed with solid tissues and/or filled with buffer prevent the beads from moving freely. •Do not over fill tubes. The total volume of the sample, beads, and buffer should never exceed half the volume of the tube. Less is better. •Sample and buffer should be twice the volume of the beads. •Detergents should be kept to a minimum as the foaming will impede the movement of the beads. •Solid tissues should never be more than 1/20th the volume of the disruption tube, i.e., no more than 100 mg tissue in a 2 ml tube. •If sample warming is an issue, process the sample in short bursts. A variety of prefilled tubes are available for homogenizing samples including those with glass and Triple-Pure™ zirconium beads. Both bead types are acid washed and processed to remove nucleases and proteases. 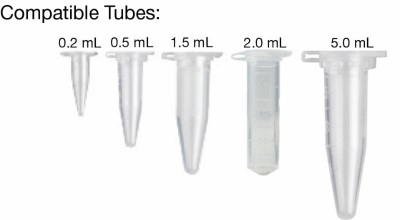 The Triple-Pure bead tubes undergo special handling during filling and are quality tested to ensure the elimination of DNase, RNase, protease, and nucleic acids. When samples are used for molecular biology applications, the high purity of the Triple-Pure beads is preferred. Standard Glass Beads, 0.1 mm – Effective for the homogenization of bacteria. Best used for cultured microbes where low cell densities are not an issue. Standard Glass Beads, 0.5 mm – For larger microbial cells, like yeast. Effective for homogenizing yeast cultures, especially where heat labile proteins might be involved. Standard Glass Beads 1.0 mm – For small pieces of soft tissue, fungal mycelium, and larger algal cells. Triple-Pure Zirconium Beads, 0.1 mm – For all bacteria and low density cultures. Triple-Pure Zirconium Beads, 0.5 mm –Effective for the homogenization of yeast and smaller algae cells. Effective for low density cultures and samples where contamination is an issue. Triple-Pure Zirconium Beads, 1.0 mm – Use for fungal mycelium, soft tissues, very small tissue samples. Triple-Pure Zirconium Beads, 1.5 mm – Effective for homogenizing softer animal tissues (adipose, mouse intestine, hypothalamus, and liver) as well as leaf and soft vegetables (e.g., potato). Triple-Pure Zirconium Beads, 3.0 mm – Provides greater energy for shearing and rupturing tough samples such as muscle, lung, and kidney as well as small plant seeds, stems, and roots. Stainless Steel Beads, 2.8 mm – Stainless steel has greater density than both glass and zirconium and can be used on very tough samples such as cornea and connective tissue and in situations where the other tube types are not effective. Metals beads are effective at homogenizing tough samples, but they also generate significant heat. Care should be taken when working with heat labile molecules. Plant extracts will often oxide rapidly in the presence of stainless steel. Bacteria – As bacteria tend to be very small, 1-3 µm in length or diameter, smaller beads normally work better for cell disruption. A culture of bacteria contains upwards of 109 cells/ml thus smaller beads (e.g., 0.1 mm) allow for greater surface area for impacting cells. This is a very significant factor in cracking bacteria. Generally the mass of the beads greatly exceeds the mass of the bacteria, thus both glass and zirconium work well. However, glass beads tend to clump more than denser zirconium beads which settle more effectively in lysates after processing. Other organisms of comparable size, such as cyanobacteria, can also be processed in a similar manner. Yeast – The next larger microorganism after bacteria is yeast, being roughly 10+ microns in diameter or length. Beads with a diameter of 0.5 mm tend to work very well on yeast cells. Many single cell algae can be processed as if they are yeast. Filamentous Fungi – Fungi that are not solid bodies, such as pycnidia and similar fruiting bodies, are effectively disrupted with the next size of beads. Beads of 1.0 mm are very effective for shearing mycelium. Plant Leaves – Leaves can be homogenized readily using 1.5 and 3.0 mm zirconium beads and 2.8 mm stainless steel beads. Leaves are often harvested by cutting out the sample with a paper hole punch. A sample of this size is normally 10-20 mg in mass, thus multiple punches can be processed in one tube. Shoots and Stalks – More resilient plant material can be effectively homogenized using the larger bead sizes. Stalks of bundled grasses and young roots and shoots can be effectively homogenized using these beads, however plants which are more mature may have significant pulp following homogenization if their lignocelluloses content is high. Sample size should not exceed 50-70 mg to ensure good disruption. Seeds – Small fresh seeds can be processed effectively using 3.0 mm zirconium and 2.8 mm stainless steel beads. Larger seeds must first be dissected so that the sample mass is no more the 50 mg.
Soft Animal Tissue – Animal tissues can be grouped into soft and hard tissue types. The softer tissues, such as liver, adipose, and hypothalamus, can readily be disrupted using 1.5 mm beads or larger. Though easily homogenized, it is still important not to overload tubes with soft animal tissues. Resilient Animal Tissues – Fibrous animal tissues such as muscle, lung, kidney and heart can be difficult to homogenize. By using larger beads, these tissues can be effectively disrupted to liberate RNA, DNA and proteins with very high yields. Triple-Pure 3.0 mm zirconium beads and stainless steel beads (2.8 mm) are effective for disrupting these tough tissues. Sample size is best kept under 50 mg while buffer should be no more than 200-300 µl. Many RNA extraction protocols use larger volumes of buffer, and for these processes the sample can be homogenized in less extraction buffer and then brought up to volume following homogenization. 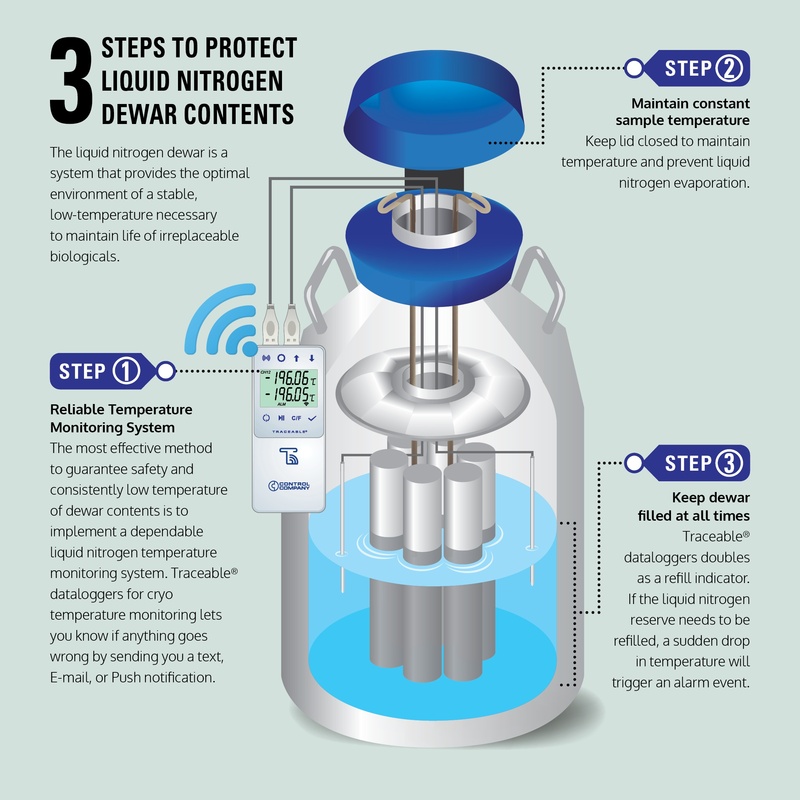 Protect critical samples with liquid nitrogen thermometers. Find out more about LN2 thermometers. Autofil® PP bottle-top filters for solvent filtration are a revolutionary new way to purify solvents for analytical applications to obtain sterilized or purified extracts. The primary function of solvent-compatible bottle-top filters in the general lab space is pre-filtration of solvents used in HPLC (High Performance Liquid Chromatography). HPLC is an analytical technique used to separate, quantify, and identify the components of a mixture. HPLC is used in countless industries, but is most notable in pharmaceutical, biochemical, biological, medical, and research areas. Common uses include drug testing, medical testing, drug purity testing in production, analysis of components of biological or chemical samples. All HPLC processing relies upon a “mobile phase” composed of solvent—this mobile phase is mixed with the sample being analyzed, and used to deliver it through the HPLC machine, allowing it to be separated into parts and analyzed. This solvent, or mobile phase, must be completely free of contaminants or particulates. Particulate matter can damage the inner workings of HPLC machines, requiring very costly repairs, and potentially throwing off analytical accuracy. Biological contaminants in the mobile phase lead to risk of growth inside the solvent intake lines, which can lead to similar (again, costly) issues. To avoid these harmful situations, many labs will pre-filter their HPLC solvents. This generally involves the use of side-arm Erlenmeyer vacuum flasks, rubber stoppers, glass Buchner funnels, die-cut membranes, and other expensive, breakable, movable parts. Any glassware will require cleaning, and risks shattering. The filtration requires supervision due to the risk of tipping over, and also requires pouring the solvent into another vessel as a final step, since the Erlenmeyer flask is hardly a good storage vessel for volatile solvents. The alternative to this pre-filtration is to buy HPLC-grade solvents, which can be expensive. Another use for the Autofil® PP bottle-top filters is Cannabis extraction. Cannabis extraction is a process that utilizes a solvent to extract THC, CBD, and other cannabinoids, as well as terpenes, from cannabis plant matter. THC is the primary psychoactive ingredient in marijuana, while CBD provides various health effects, and terpenes provide flavor and other health benefits. The three major solvent types used in cannabinoid extraction are CO2, hydrocarbon (butane or propane), and ethanol. Ethanol is the cheapest and simplest extraction method, but requires more “cleanup” of the extract to achieve a pure product. Hydrocarbons are often faster, and produce a purer product, but require more expensive equipment. They also present issues of risk related to the use of flammable solvent, and of incomplete removal of these harmful solvents from the final product. CO2 is generally the most expensive and highest-quality process, yielding a product that is guaranteed free of solvent. CO2 extraction requires very high-cost assemblies, and is generally only used in higher-end labs. In all three extraction methods, the initial extraction step produces a crude product, generally contaminated with waxes, oils, lipids, and pigments. Each solvent leads to varying incidences of these impurities—ethanol yields more pigments, hydrocarbons yield mostly waxes, etc. All three methods require a step referred to as winterization. In the case of non-ethanol extractions, the product will usually be re-dissolved in ethanol, so ethanol is the standard here. In short, winterization involves chilling the sample to sub-zero temperature, waiting for oils and lipids to precipitate out of solution, and then quickly filtering the ethanol to strain out these oils and lipids. From here, the sample is either stripped of solvent via rotary evaporation (creating a final product), or put through the process of pigment removal. Pigment removal is intended mostly for ethanol extractions, but may apply to others. Pigments like chlorophyll lower purity of product and alter color. For these reasons, they are often removed by the addition of activated carbon. The carbon absorbs the pigments, and can then be filtered out of the mixture, yielding a purer extract to be treated by rotary evaporation as above. Again, this step requires filtration. In either case, filtration is generally very crude. End users often use simple setups with coffee filters and the like—more refined setups use side-arm Erlenmeyer flasks and Buchner Funnels. These filtration's involve costly parts, require supervision, run slowly and inefficiently, risk breakage of glassware, and are prone to incomplete or ineffective filtration. Autofill PP filters come in three membrane types. PES: Exhibits very low protein binding and extractables. Faster than Cellulose Acetate and Nylon membrane. Nylon: Naturally hydrophilic and has greater chemical compatibility than other membranes. Extremely low extractables. Best used with solutions containing little or no protein. PTFE: Naturally hydrophobic. Great chemical compatibility, making it exceptional for filtering aggressive solvents. Click here for the complete line of Autofil PP products. Individually calibrated and certified thermometers and timers. Temperature and time are two of the most important variables in any experiment. The accuracy and reproducibility of these variables is critical in the validation of your results. This is why we offer Traceable® timers and thermometers manufactured by the Control Company. What is Traceable® and who requires a calibrated and certified product. Traceability is the property of a measurement result in which the result can be related to a national measurement reference through a documented unbroken chain of calibrations. National measurement standards are maintained by national measurement institutions (NMIs) such as the National Institute of Standards and Technology (NIST) in the United States. Using products that are documented to meet these measurement standards is a requirement of Government labs, labs maintaining certification programs, military suppliers and any company wanting to maintain ISO-certification. Each Traceable® thermometer and timer is individually serialized, calibrated and certified. An individually serialized Traceable® Calibration Certificate provides assurance that an independent auditor has checked the methods, procedures, testing, technique, and record-keeping practices of the calibration testing laboratory. The American Association for Laboratory Accreditation (A2LA) is widely recognized internationally through its participation in the International Laboratory Accreditation Cooperation Mutual Recognition Agreement (ILAC MRA). There is no need to have the units calibrated locally before use as all European governing bodies fully accept and recognize the Traceable® certificate of calibration. The Traceable® Certificate provided with each thermometer and timer is traceable to standards provided by the National Institute of Standards and Technology (NIST), a U.S. Government agency within the Commerce Department. The Traceable® Certificate complies with ANSI/NCSL Z540-1. A Traceable® Certificate includes all of the information to meet today’s stringent accreditation demands, CLIA requirements, government specifications, and ISO 9000 certifications. The Traceable® line of thermometers and timers are invaluable in assuring that your lab results are accurate and meet the requirements set by regulatory agencies. WaterVac 100 vacuum filtration system. At Southern Labware we are always on the lookout for new products that can improve the process and efficiency of procedures in the lab. Over the years there have not been many improvements in the membrane filtration technique. A vacuum pump, filter holder and filtering flask is the typical set up. The WaterVac 100 is a brand new product from the worldwide leader in vacuum filtration apparatuses, Rocker Scientific. The WaterVac 100 can be used for the membrane filter technique for analyzing aqueous-based fluids for microbial contamination. Simply add a 47mm filter holder and you have a vacuum filtration system that takes up 70% less space on the lab bench. The WaterVac 100 is a unique vacuum filtration system which can generate sufficient vacuum for filtration through built-in air/water pump and drain the waste liquid directly. Compared with traditional filtration equipment, WaterVac 100 does not need additional suction flasks or bottles to collect the waste liquid. This space saving feature makes it ideal for working in tight spaces like a laminar flow cabinet. The following specifications of the WaterVac 100 make it versatile enough for many general filtration applications as well as meeting the Membrane Filter (MF) Technique filtration parameters described in U.S. EPA, ISO and ASTM standards . Draining hose - silicone , Ø4 / Ø8mm, 2 meter. pH is a measure of the alkalinity or acidity of a nutrient solution. A neutral solution is numerically equal pH 7; as the solution gets more acidic, the numbers decrease and increase as it becomes more alkaline or basic. Pure water is neither alkaline nor acidic, rather it is neutral. ELECTRODE – A solution is like a battery and can generate an amount of voltage depending on the concentration of Hydrogen (H+) ion present. pH electrodes measure the voltage or potential difference of the solution in which it is dipped. Glass electrodes are the most popular and successful electrochemical sensors. It consists of a glass bulb membrane, hence its name, and a tubular body which separates an internal solution and a silver/silver chloride electrode from the tested solution. This is hooked up to a pH meter which is in reality a voltmeter which measures the potential difference and its changes across the glass membrane. There are single junction and double junction electrodes as well as stainless steel, single junction and double junction electrodes that may be replaceable or non-replaceable. (Electrodes available at https://www.southernlabware.com/ph-meters-and-testers.html). RESOLUTION – This term should not be confused with ACCURACY. The resolution is the smallest value that is shown on the instruments display. Thus an instrument that has a 0.01 pH means that it will read to the nearest 0.01 pH; for example 8.06 pH. The better the resolution, the better is the measurement display capability of the meter. This may not mean that this is a more accurate pH meter, however it does usually indicate a superior instrument. (Waterproof, double-junction pH Testr 30 by Oakton at (https://www.southernlabware.com/ph-meters-and-testers.html). When choosing which pH meter is best for your application, price may be a factor and a meter that costs twice what another one costs does not always mean it will deliver results that are twice as good. Always compare specifications to get the best value and, important too, compare the replacement costs of the electrodes or other probes for your meter. Remember, first determine your application needs, then compare these factors: ACCURACY, ATC, CALIBRATION, ELECTRODES, RESOLUTION. What is one of the most important laboratory products in today's research laboratory? Without a doubt it is laboratory plasticware. Laboratory plastics such as centrifuge tubes, microcentrifuge tubes, culture tubes and pipettes are an essential tool for cell biologists, molecular biologists and biochemists. Plasticware offers researchers accuracy in volume measurement, sterility, reduction of cross contamination, but most importantly convenience and disposability. Unfortunately, disposability and convenience comes at a price. What happens to all the discarded pipette tips, tip boxes and centrifuge tubes? Are they simply thrown away with the other laboratory waste that ends up in a landfill? There must be a better way to disgard this waste. TerraCycle’s Zero Waste Box™ platform allows you to recycle many of those hard to recycle items used in your lab. The Zero Waste Box program helps give your lab the opportunity to go zero waste, sending nothing to landfills or incineration. TerraCycle uses only circular methods (reuse, upcycling or recycling) for repurposing the waste collected through the Zero Waste Box™ platform. TerraCycle will never landfill or incinerate your waste. So how is all the waste collected in Zero Waste Box™ processed? Reuse (using something for its original purpose) is always the best option as it leverages all of the energy and materials that were needed to make the original product. The key difference between upcycling and reusing waste is that with upcycling the original intention of the object changes. TerraCycle works with many of the world's best companies to bring upcycling solutions to many forms of waste. The science of recycling is focused on recovering the materials that an object is made of. For example, recycling a used pen involves shredding it, separating the materials that it was made from, then melting those materials into raw materials that can be then used to make new recycled products. By volume, TerraCycle recycles over 97% of the waste that is collected. The Zero Waste Box™ platform collects waste that is very consistent in composition and volume. The material collected is consistent with low lot-to-lot variability. The in-house R&D department and laboratories at TerraCycle have the capability to customize materials to meet almost any specific requirements of their production partners. The goal is to provide materials to a company that can be used as a sustainable alternative to virgin materials; using less crude oil and instead utilizing a material that would normally be sent to landfill. R&D teams at TerraCycle work closely with their partners to develop closed-loop solutions for various waste materials. These closed loop solutions can range from making secondary applications like displays or pallets from a waste material to be used by the same company to primary applications that involve turning the waste back into the same product that it began as. It's not everyday you find a new and exciting solution to a very real problem. 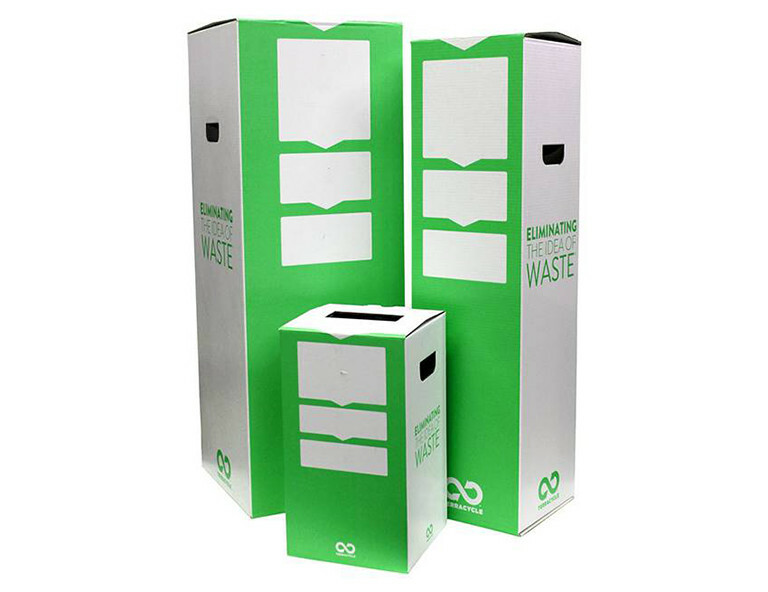 TerraCycle’s Zero Waste Box™ creates a streamlined process for collecting and recycling laboratory waste. Help reduce your labs carbon footprint with a Zero Waste Box™.